This Australia Winter Getaway was planned for a couple who wanted a winter holiday with all the highlights of Australia. This travel package gave them the perfect Australian adventure, with a mix of can’t-miss activities and leisure time. Our clients started their Australia Winter Getaway in Port Douglas, a gorgeous tropical city on Australia’s north coast. They stayed at the centrally located Villa San Michele and spent their first day walking around the city and relaxing on the beach. The next day, they had a snorkeling adventure in the unparalleled Great Barrier Reef, with the rest of the day free to explore Port Douglas and the nearby Daintree Rainforest, where they took a cultural excursion with aboriginal guides. Next, they visited Wildlife Habitat to interact with iconic Australian wildlife and cuddle with koalas. Continuing their Australian Winter Getaway, they were transferred to the airport and made their way to Melbourne, Australia’s second largest city. After checking in to their stylish accommodations, they spent the day exploring Melbourne’s art district, which features an exciting mix of Australian and indigenous art, and enjoyed Melbourne’s abundant nightlife. The next day, they took a private, guided tour of the city to get insight into its rich history and the character of its diverse neighborhoods. They spent their last day in Melbourne discovering the city at their leisure. Next, they were transferred to the airport to head to their last stop, Sydney. They checked into their accommodations at The Grace Hotel, then took the short stroll to Sydney Harbour and spent the rest of the afternoon exploring the beautiful city on foot. They enjoyed dinner at one of Sydney’s many wonderful restaurants. The next day, they took a lunchtime tour of 3 local breweries to sample delicious Australian craft beers, followed by a full day of leisure time. On the last day of their Australia Winter Getaway, they took a private lunch cruise on a yacht in Sydney Harbour. They were treated to a delicious BBQ lunch and enjoyed swimming and snorkeling from the yacht. The next day, they were transferred to the airport to begin their journey home. Welcome to Australia! Enjoy a transfer from the airport to your accommodations in Port Douglas. Spend the rest of the day exploring this gorgeous city. 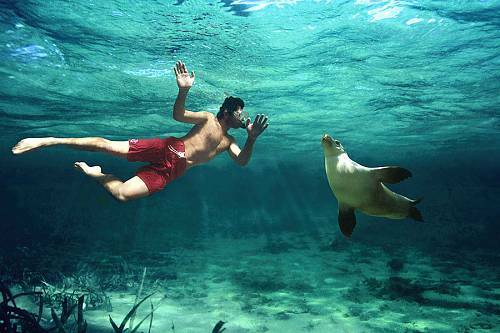 Today, you’ll have the chance to snorkel in the Great Barrier Reef. Witness an entirely different world open up underwater, full of colorful sea creatures. After this unforgettable experience, the day is yours to spend as you please. Take a trip to the nearby Daintree Rainforest, learn about aboriginal culture, or simply enjoy the tropical weather over a delicious meal in one of Port Douglas’ many wonderful restaurants. See Australia’s unique wildlife at the Wildlife Habitat. Interact with kangaroos, lorikeets, crocodiles, koalas, and much more. You’ll also have the chance to cuddle a koala and take home a photo! The rest of the day is open for any adventure you choose. This morning, you’ll be transferred to the airport and catch your flight to Melbourne. Check into your stylish and comfortable rooms and spend the evening exploring this buzzing cosmopolitan center. Today, enjoy a private tour of Melbourne’s city center and surrounding neighborhoods. Your expert guide will give you insight into the rich history of the city, as well as the present culture. Today is yours to spend at your leisure. Discover Melbourne’s wonderful dining, art, and culture, or simply relax in your lovely accommodations. Today, you’ll be transferred to the airport and make your way to Sydney, where you’ll spend the next 4 nights. 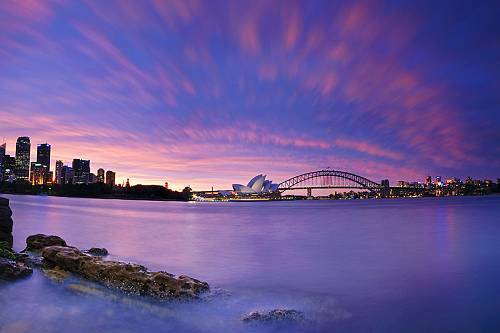 Explore Australia’s largest city, a beautiful metropolis located on the edge of the ocean. Sleep in today or spend the morning discovering the iconic sights of Sydney. This afternoon, enjoy a Dave’s Brewery 3-in-3 tour, where you’ll visit 3 of Sydney’s best craft breweries to sample delicious beers. Spend the rest of the day at your leisure. Today is yours to spend however you please. Tour the Opera House, go on a beach adventure, or take the bridge climb for an unparalleled view of the city. Today, enjoy a private, 4-hour cruise in Sydney Harbor on a luxury yacht with Sensational Sydney Cruises. Take in the sights, indulge in a delicious 3-course BBQ lunch, and go swimming, snorkeling, or kayaking. Spend your last evening in Sydney at your leisure. Today marks the end of your Australia Winter Getaway. You’ll be transferred to the airport, where you’ll begin your journey home.